The Vietnam Football Federation (VFF), as well as Vietnamese players are confident about the draw result of the upcoming 2018 AFF Suzuki Cup. Vietnam are in Group A alongside Laos, Cambodia, Myanmar and Malaysia. 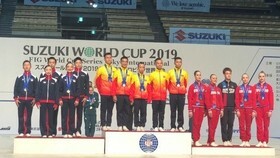 This group is considered an easy ride for Vietnam, while the tougher Group B includes the Philippines, defending champions Thailand, Singapore, Indonesia, and either Brunei or Timor-Leste. “Vietnam will play against Laos, Cambodia, Myanmar and Malaysia. In theory, this is an advantage, but we don’t see it as an advantage. Vietnam is being subjective if they think that they can beat the four rivals without having to put up a fight. In football, weakness and strength are relative concepts. We improve, while our rivals also advance. Vietnam always appreciates every rival, so we will try to play well in each game,” said Tran Quoc Tuan, Deputy Chairman of the VFF. “In this event, the VFF aims to enter the final match, so if we pass the qualifying round, it doesn’t assert any thing because the surprise will be in semi-finals and the final,” Tuan added. General Secretary of VFF Le Hoai Anh said that in the two recent AFF events, Vietnam was defeated in the semi-finals, so this year they will aim to reach for the final. An exciting new format is being used for the first time this year that will see each team play two games at home and two games away in the group stages. The aim of this is to provide more exposure for players in their home country, and provide fans with more opportunities to back their national team on home soil. The top-two team’s progress from each group into the semi-finals played over two legs at home and away. The final is also a two-legged affair. “With the new format, matches will be more qualitative, so each match for every team is considered a final. Although, compared to the other teams in Group A, Vietnam will have a better chance to enter the event’s next phase due to the quality of our players,” said Anh. “The qualifying round won’t be easy for Vietnam, although we are not in the same group as Thailand and Indonesia. However, Vietnam will play with maximum focus and confidence to top Group A”, said striker Nguyen Van Quyet. “Ten years ago, Vietnam won the AFF Cup 2008, now we are determined to bring the same joy to fans. The best way to do this is to beat every rival and lift the trophy," Quyet added. “Malaysia and Myanmar are arch rivals so it’s very important that Vietnam must show our full strength. We will focus in each game, the loss against Indonesia in the semi-finals of the AFF event two years ago is still a bitter lesson for us. 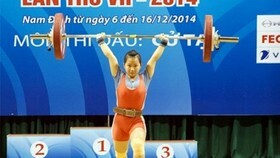 However, this loss will help Vietnam be stronger in this year’s event,” said Quyet. Midfielder Dinh Thanh Trung also shares his confidence. “My teammates and I will make every effort towards new success. This time, Vietnam has many positive points compared to two years ago. Firstly, the ongoing V.League 1 isn’t broken, so the national team will have more time to prepare for the AFF tournament. Secondly, we have Park Hang-seo, a good coach. 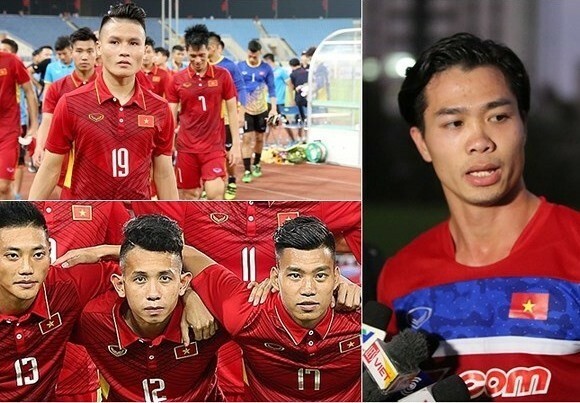 Finally, the team will have many young footballers who made a miracle come true at the AFC U23 Championship held in China in January, in which Vietnam won the silver medal for the first time in history. They will combine with other veterans to beat any rivals,” said Trung. 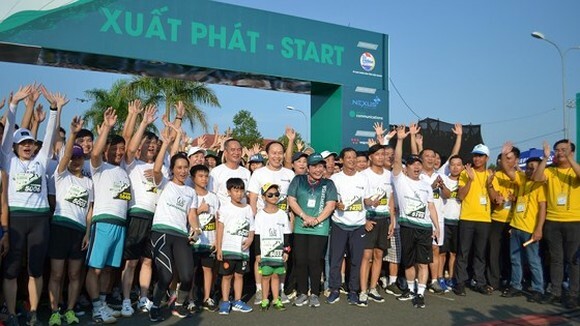 As planned, the Vietnam team will convene on October 11 in Hanoi to prepare for regional event. During their training, they will play three friendly matches, both at home and abroad. The AFF Suzuki Cup kicks off this year with the first group stage matches to be played on November 8. 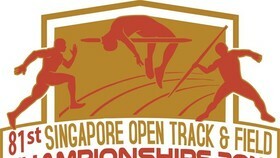 The final will be held on December 15.